Tungsten and molybdenum electrodes for resistance welding. In the resistance welding process, the parts to be joined are pressed together and heated by an electric current until pools of molten material form at individual points between them. This operation requires high currents and large pressing forces. During the welding of thick sheets, the forces between the electrode and the parts to be joined may reach as much as 450 MPa. This represents a considerable challenge for the welding electrodes that have to withstand these loads. Welding electrodes made from our refractory metals and their alloys have a relatively high level of electrical conductivity while also exhibiting outstanding stability at high temperatures. 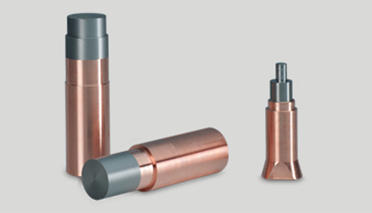 They therefore have a considerably longer service life than conventional materials such as copper and copper alloys. Take a look for yourself and use our materials to increase your electrode service lives. Our welding electrodes made of tungsten, molybdenum and their alloys are particularly suitable for welding highly conductive materials such as copper. They are used in the following processes: Spot welding, Roller welding, Projection welding, Upset welding. When it comes to spot welding we can offer you just the right product for your intended application, from solid electrodes all the way to back-cast electrodes (insert electrodes). What makes an excellent, optimum electrode? 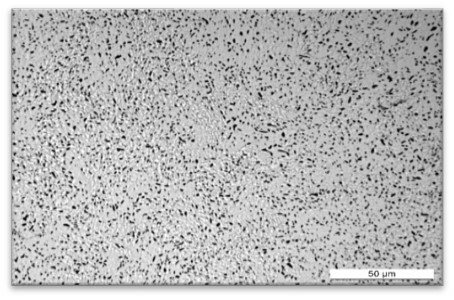 Our material is characterized by an extremely homogeneous structure and its high number of elongated lanthanum oxide particles. This fine, uniform grain structure enables us to achieve a particularly high density across the entire cross-section with good hardness. Here we show the typical structure of the Plansee material compared with the materials of other manufacturers. 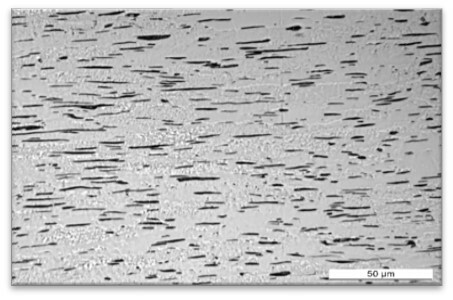 The inhomogeneous, coarser structure of the latter suggests that there has been little forming, increasing the risk of porosity. 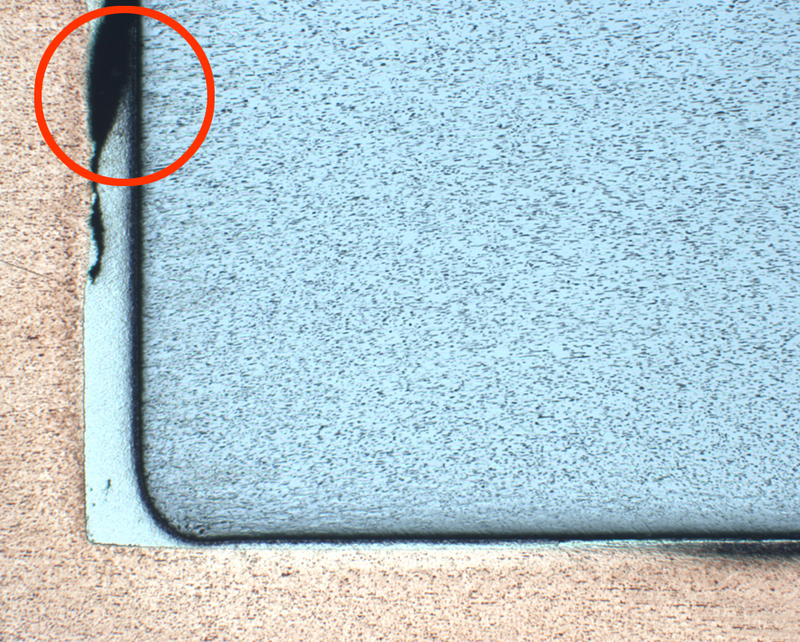 This in turn results in chipping and poorer machining, as well as compromising welding performance. The better the join between the electrode insert made of tungsten (W, WL10, WL20) or molybdenum (Mo or TZM) and the electrode shaft made of copper (Cu) or copper-chromium-zirconium (CuCrZr), the better and more reproducible the welding results and the longer the service life. Why is this the case? Thanks to our special manufacturing technology, we are able to achieve a perfect connection between the electrode insert and electrode shaft. 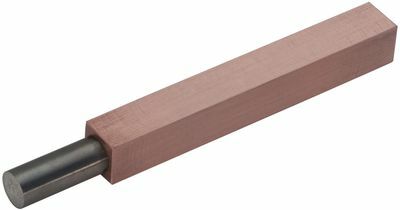 This results in extremely low electrical contact resistance between insert and shaft, producing exceptionally good electrical conductivity, and in turn high thermal conductivity, which ensures highly efficient cooling of the electrode tip. By contrast, electrodes produced by soldering contain cavities as a result of the manufacturing method used. Since these cavities are not always uniform in nature, the contact resistance of electrodes manufactured in this way varies, and their cooling performance is not constant, resulting in a shorter service life. 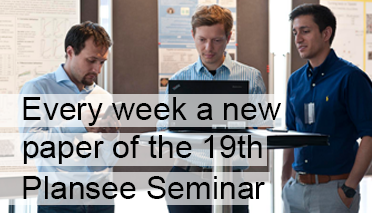 Moreover, our joining technology helps ensure sustainable production with a low level of resource consumption: experience has shown that our customers can reduce currents significantly thanks to the optimum join, thereby cutting their energy consumption. This has a positive impact on your environmental footprint! Each image section corresponds to approximately 2500 µm. Another advantage of our back-cast electrodes is their better bending strength. 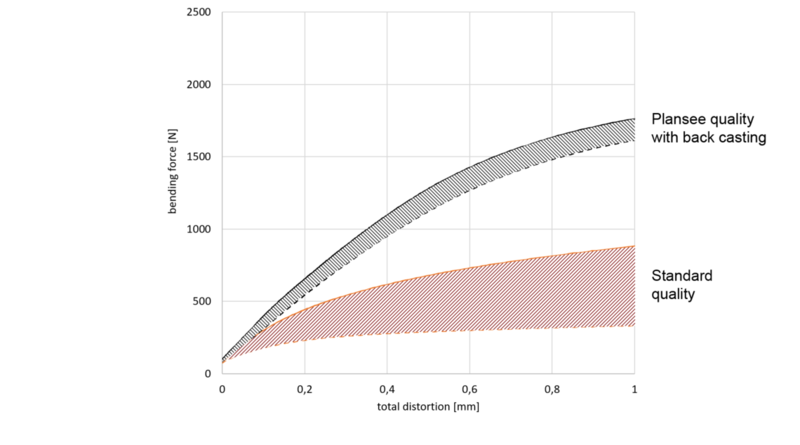 As the following graphic illustrates, the flawless join of the back-cast electrode results in much more stable bending properties, as well as greater rigidity on account of its design compared with a soldered electrode of the type commonly found on the market. The above chart compares the bend of insert electrodes with casted insert and with soldered insert. For the test, the insert electrode was clamped horizontally in a holder (clamping length as in real use) and pressured by a vertical force at the electrode tip. 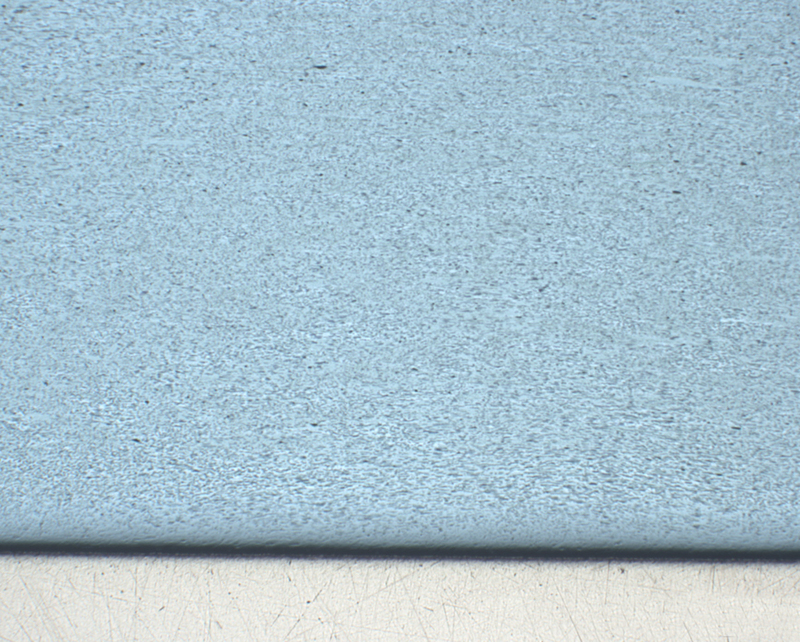 The comparison test clearly shows: the back-casted electrode can be exposed to much higher forces. The benefits to you: Longer service life and uniform welding parameters. Our decades of production experience enable us to offer top quality at an affordable price. We have the necessary manufacturing equipment with which to satisfy your specific requirements. Just send us your drawing and we can manufacture your electrodes to your precise specifications. Spot welding joins two electrically conductive metal parts using the heat generated as a result of electrical resistance when an electrical current is passed through. Two electrodes press the metal sheets together and convert the welding current to heat at the contact surfaces. A large current is forced through the welding point. The metal melts at this point, thus producing the welded joint. The advantage of spot welding is that a large amount of energy can be concentrated on the spot in a very short time. The rest of the sheet is not subjected to excessive heating. 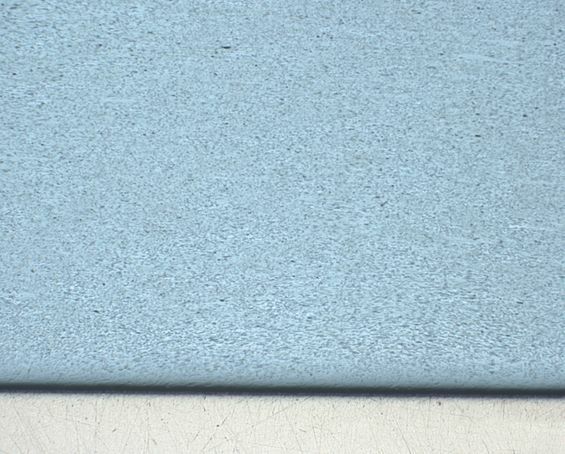 Normally, sheet thicknesses will be between 0.5 and 3 mm. WCu electrodes for projection welding. 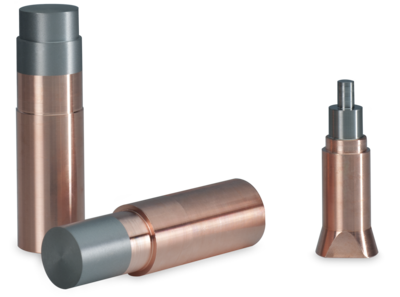 We supply 100% infiltrated tungsten-copper comprising 75% tungsten and 25% copper for your projection welding process according to RWMA standard of the American Welding Society (AWS). 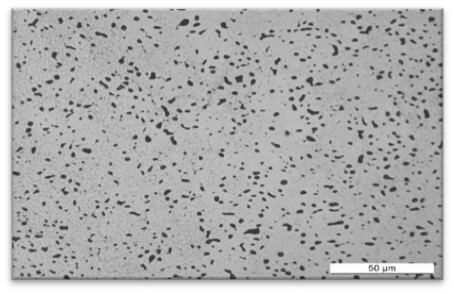 This composite brings together the best of both materials: The strength of tungsten and the excellent thermal and electric conductivity of copper. You can rely on our quality. The material properties of our WCu electrodes always remain constant. 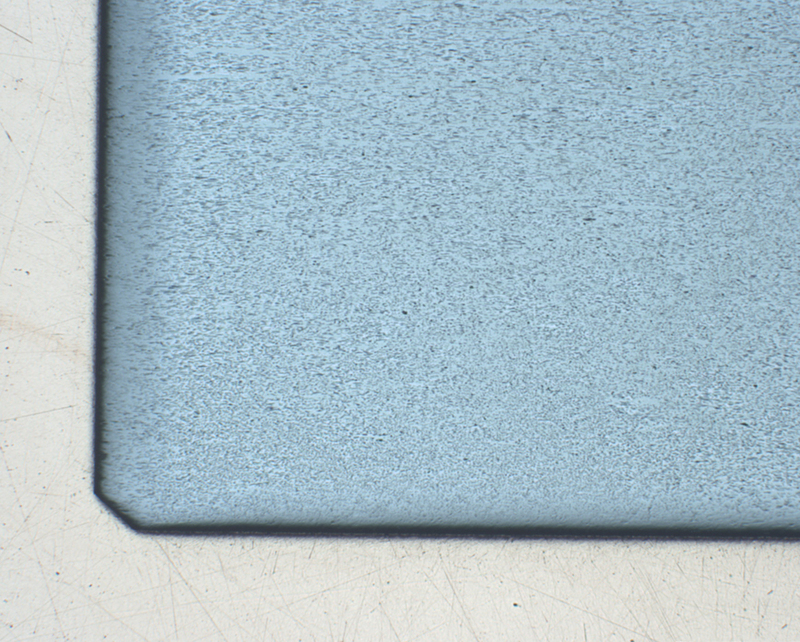 Its homogeneous microstructure means that it is easily machined. We have WCu rods waiting in stock for you. Just take a look! Projection welding is a modification of spot welding. In this process, the weld is made at raised sections, or projections, on one or both of the components to be joined. Heat is generated in the same way as with spot welding, except that it arises primarily in the region of the projections. Projection welding allows closer spacing of the welds. The projections can also be used for positioning. Projection welding is usually used to weld studs, nuts, and other screws to metal plates. 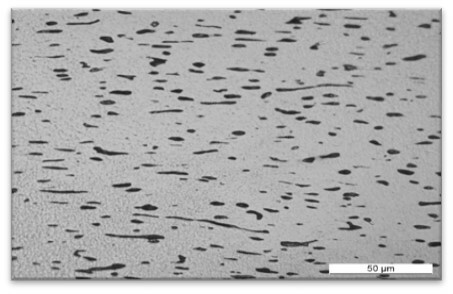 Tungsten electrodes for thermode welding. 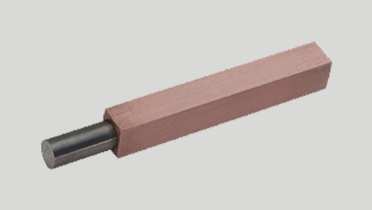 We manufacture our tungsten electrodes for thermode welding according to your specifications to meet your exact needs. Extremely fine tolerances and uncompromising quality are a matter of course for us. 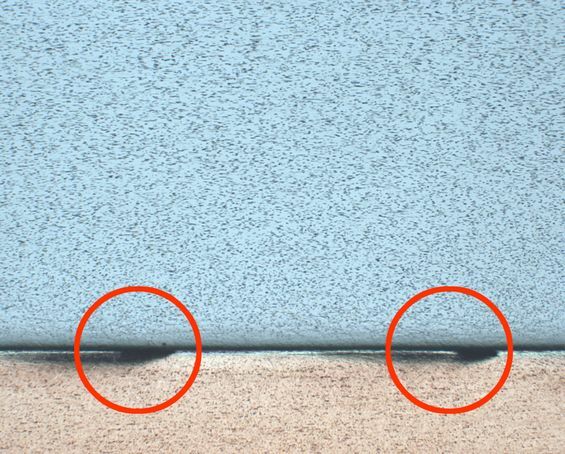 So we can guarantee that the tips of our electrodes are free of cracks. Thermode welding is based on the principle of resistance welding. The current only flows through the electrode rather than between the workpiece and the electrode. The narrowing at the tip of the thermode increases the resistance, producing the welding temperature at this point. The tip of the electrode is able to melt the material across very small diameters at the desired welding Point. Why do our WCu electrodes last so long? Get to know in only 90 seconds. Questions about materials? Please ask. With our wide range of materials, we are equipped to meet the most varied requirements. Molybdenum, tungsten or one of our many alloys? We would be delighted to advise you personally about the materials that are most suitable for your applications. You can rely on our experience in the machining of top-quality refractory materials and welding electrodes. Putting back casted TZM electrodes to the test. Seamlessly joined? Comparing cast and soldered electrodes for spot welding.